New York: Little, Brown, 2009. 475 pages. In 1968, the year of my birth, my mom started taking in ironing to help support her growing family. My dad’s meager teaching salary, supplemented by shift work at a Libby’s pumpkin factory, didn’t stretch far enough. Mom had stopped teaching a few years earlier, before my brother was born, as visibly pregnant women were not allowed to keep their teaching jobs at that time. Before her kids came along, Mom taught elementary school, costumed in skirts, nylons, and high heels. Wearing far more com­fortable clothes that would allow her to sit on the floor with her stu­dents was prohibited. Girdles and Maidenform bras were almost mandatory, as was making sure one’s hair towered into a bouffant. Hers didn’t, or couldn’t, and so she wore a wig—one that became a welcomed addition to our dress-up clothes about a decade later, once her pretense of having big curls wore off. Though she was a great teach­er, this job probably wasn’t her first choice as a career. But as a woman, choices were limited, and being a nurse or secretary—the other go-to options for women of her era—were far less appealing. She made dramatically less than the few male teachers in her dis­trict, and the school’s only admin­istrators were men. Few women made it into the ranks of senior teachers, either: that whole preg­nancy thing, you know. Sometimes, I’m amazed that such restrictions placed on wom­en—about what they could do, about how much they could be paid, about what they could wear—still existed at the beginning of my lifetime, not so long ago (in the grand scheme of history, at least). Still, my mom’s own experience reminds me how much has changed in the span of forty some years, even as there are many battles for equity yet to fight. 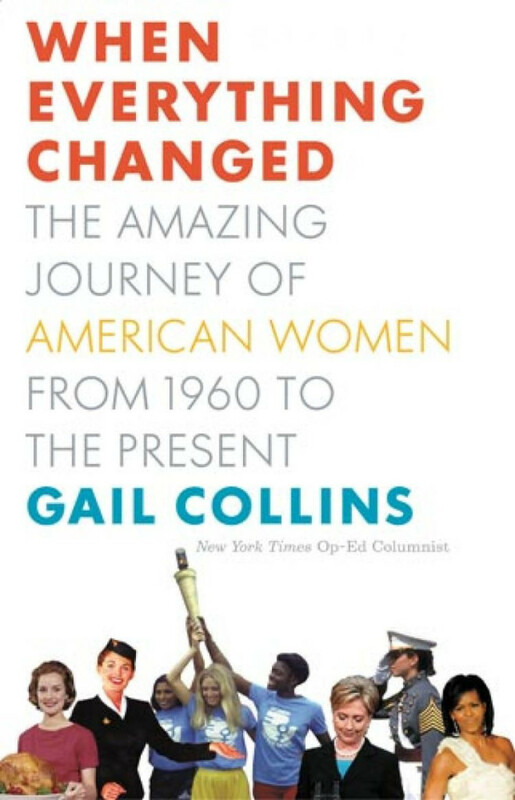 This premise—that so much has changed, and that so much work still needs to be done— resides at the heart of Gail Collins’s excellent book, When Everything Changed: The Amazing Journey of American Women from 1960 to the Present. Collins, a columnist for the New York Times, uses her significant authority and her ac­cessible writing style to breathe life into a half-century of wom­en’s history, and the result is a fascinating narrative about wom­en’s strength, resilience, and hope for a more equitable future. Collins begins her social his­tory in 1960, an era when expec­tations for women were clear and rigid. Rosie the Riveter was long in the rear view mirror by 1960, the work women did in World War II factories forgotten by a decade and more of the suburban housewife, raising children in quick succession, cooking meals for a hard-working spouse, and by some reports, miserable in her tightly conscribed life—all phe­nomena Betty Friedan would chronicle in her 1963 The Femi­nine Mystique. After detailing the cultural milieu of 1960 America, Collins provides a compelling story of the women’s movement, sometimes unwinding the narrative decade by decade, and sometimes year by year. 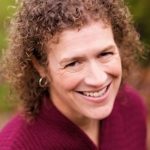 She argues convincingly that “the ice cracked” early in the 1960s, that forces were shifting in the country, subtly but powerfully: women were beginning to find their voices in the private and public sector, bolstered in part by the establishment of the National Organi­zation for Women in 1966. Certainly, readers who lived through this tumultuous time—or who actively participated in changing the conditions for women nation-wide—will find Collins’s narrative familiar. For someone like me, born just after “the ice cracked,” the story Collins tells here is novel and extraor­dinarily valuable: she compels me to have renewed admiration for my foremothers, fighting against the status quo and making possible the free­doms I now appreciate. Collins suggests younger women have little idea of the struggles under­taken by earlier generations to create the more equitable society they now enjoy. For this reason, When Every­thing Changed might serve as a vital discussion tool, a way to bridge the gap between those who have lived before the ice cracked, and those born in the years after. 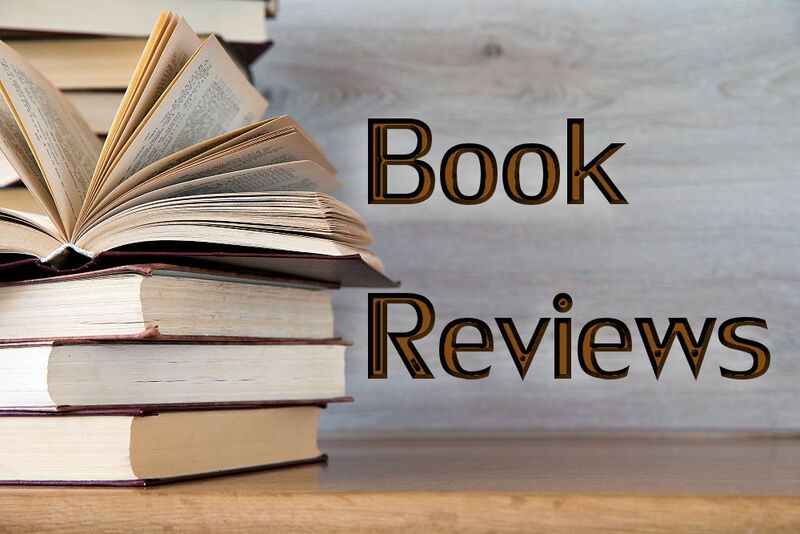 To this end, after my mother read the book, we talked together about her own experiences com­ing of age in the 1950s and raising children in the late 1960s. Alt­hough I had already deeply re­spected my mom’s life journey, reading about these eras through Collins’s critical lens opened up new avenues of admiration, al­lowing me to understand my mom in a different, richer way. I imag­ine other readers my age or younger might also develop a deeper appreciation for the closer-­to-equitable society we now en­joy. Though, of course, some freedoms remain just out of reach, something Collins reminds us in the book’s later chapters. There, she quotes Friedan again, who noted in her late-in-life memoir that “The way women look at themselves, the way other people look at women, is completely dif­ferent, completely different than it was thirty years ago” (emphasis Friedan’s). To some extent, Col­lins agrees: women have found their place in traditionally male-dominated fields like science and medicine, now fight in wars alongside men, have campaigned for the highest elective office in the land. Thus if Collins ends her book on a hopeful note—and I think she does—she also concludes with the acknowledgement that although everything has changed, some fun­damental aspects of women’s lives and their struggles remain un­changed, and that there is still work to be done, an assertion with which most of Collins’s readers will hearti­ly agree. Copyright 2012 by Evangelical & Ecumenical Women’s Caucus. Originally published in the Fall (September-December), 2012 issue of Christian Feminism Today, Volume 36, No. 3.